• Maiden Lane is a backstreet connection between Stockton Street and Grant Avenue, lined on both sides with high-end retail and cafes. It is closed to vehicular traffic during the day by unique white gates with light posts. Cafes move tables into the street for outdoor dining after service hours. Festival lighting was installed in 2013 and flower baskets were installed in 2018 thanks to a grant. 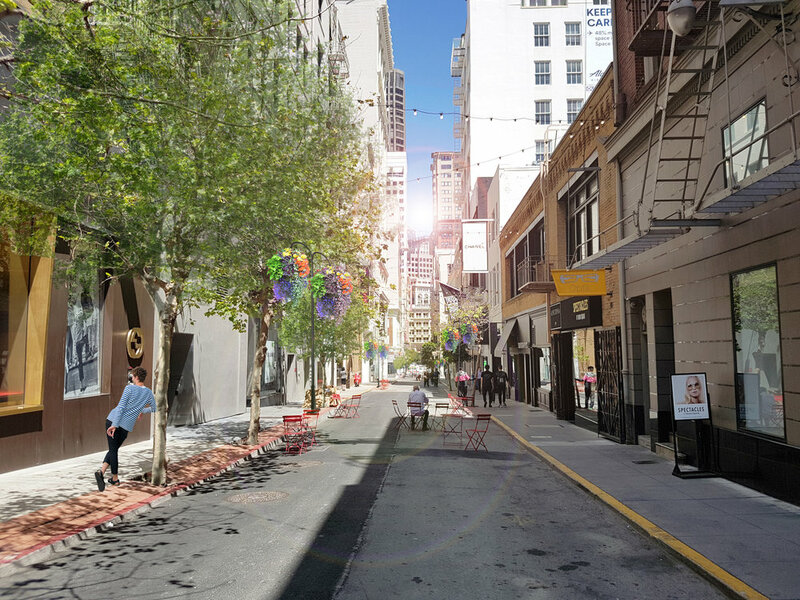 • A range of ideas for Maiden Lane include both short term quick fixes to long term permanent solutions. Short term solutions include locating opportunities for art, temporary inexpensive paving treatments, optional greening of street by adding planting at tree bases or through hanging baskets, mobile food events, other weekly events such as art nights, music nights, etc. Long term solutions that might include partnering with the City for improvements include replacing all paving, planting and adding sustainability features. Elevate your lunch routine with Lunch on the Lane hosted by the Union Square Business Improvement District in partnership with Off the Grid — a mobile food affair rolling in three days a week in San Francisco’s charming Maiden Lane, and the newest addition to our weekday lunch market lineup. Happening each Monday, Wednesday and Friday from 11 am to 2 pm during the late spring and summer months, Lunch on the Lane features a curated selection of international street food fare from the Bay Area’s best mobile food creators. 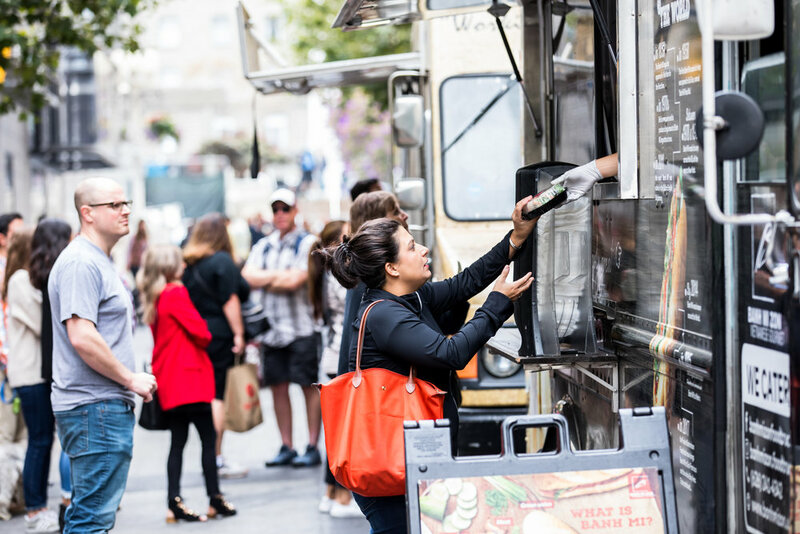 Whether it’s a quick stopover for grab-and-go grub, or a lazy lunchtime rendezvous, Lunch on the Lane is your gateway to diverse and delicious curbside noshes set against the backdrop of San Francisco’s premier shopping district. Flower baskets were installed in 2018 thanks to a community grant. Additional funds are needed to maintain these beautification efforts.